Following meetings last week with military and intelligence leaders, President Trump signaled his frustration with Saudi Crown Prince Mohammed bin Salman over the murder of Saudi journalist Jamal Khashoggi, a resident of Virginia. He asked for a bipartisan recommendation from Congress on how the United States should respond. Some Americans might wonder, “Why should I care about the murder of a Saudi journalist?” The answer is that we must care — and respond to — this premeditated, state-sponsored criminal act because it challenges who we are as a nation. Nothing less than America’s standing in the world is at stake. President Trump campaigned on the slogan “Make America Great Again.” America’s greatness stems from its unwavering commitment to, and upholding of, principles and values such as respect for human rights, religious tolerance and the free expression of one’s opinions. These values are what make America an exceptional country. If left unanswered, this brutal murder would severely weaken our standing in the world. In 2009, when the Iranian people took to the streets to overthrow the Islamic regime, their slogan was: “Obama, Obama, are you with us or against us?” They did not shout the same to Russia’s Vladimir Putin or Germany’s Angela Merkel. The truth is, people around the world look to America as their beacon of hope. Irrespective of personal views that led him to become a dissident, Jamal Khashoggi was a patriotic journalist who cared deeply about the welfare of Saudi Arabia. The weight of available evidence suggests that his criticism of the prince known as MbS made Khashoggi a target. As a nation, we should be saddened, but not surprised, when our adversaries murder their opponents. We’ve seen it happen in Russia, North Korea and Iran — but unlike Saudi Arabia, these countries are not America’s allies. Saudi Arabia has been an American ally for over 70 years. The country’s stability matters to the global economy because Saudi Arabia remains the world’s largest exporter of crude oil (though the United States is close behind). Even if its crown prince shows he is reckless and irresponsible, Saudi Arabia must remain a key Middle Eastern ally of the United States. With a goal of asking for the crown prince’s demotion, President Trump and congressional leaders should collectively ask King Salman to organize the Allegiance Council that former King Abdullah put into place for succession purposes. There are wise, responsible and reform-oriented royal family members who could immediately step into the shoes of MbS and work with the king on shared U.S.-Saudi priorities. Committing to helping the Iranian people rid themselves of the mullahs, a regime that has murdered Americans, including an attack on Saudi soil. There has been talk that President Trump’s approach to foreign policy is “transactional,” and his critics argue that he is fixated on an illusory $110 billion arms deal with Saudi Arabia. His critics may have a valid argument, but President Trump’s mandate is to create as many good-paying jobs as possible for American workers. In this case, however, with America’s international prestige on the line, congressional leaders should impress upon the president that no amount of money is worth America’s credibility on the world stage. This does not mean that the president has to give up on securing $110 billion for the U.S. economy. He can discuss two alternatives with King Salman — first, that Saudi Arabia invest $110 billion into America’s infrastructure projects that have a rate of return of around 12 percent annually; or second, that Saudi Arabia purchase $110 billion in solar panels and battery storage equipment from American manufacturers in states such as Florida, Nevada and Georgia. In the interest of stabilizing U.S.-Saudi relations, congressional leaders must recommend to President Trump that he forcefully inject American values of free expression into our important, enduring ties with Saudi Arabia. Rob Sobhani, Ph.D., is CEO of Caspian Group Holdings, which works with a range of companies and investors in the United States, the Middle East and the former Soviet Union. A former professor at Georgetown University, he has written several books, including, “King Abdullah of Saudi Arabia: A Leader of Consequence,” and has worked with the King Abdullah Foundation on humanitarian and other projects. When Donald Trump meets with Crown Prince Mohammed bin Salman, the de facto ruler of Saudi Arabia, the president should have three clear and forceful messages for his reform-oriented guest: Focus your undivided attention to adopting a soft power approach to the Iranian regime, end the war in Yemen and lift your blockade of American ally Qatar. These three interconnected messages that President Trump should deliver to MBS (as he is known) stem from a geopolitical reality that has been in existence for over 39 years: The Iranian regime continues to be the most serious threat to regional security in the Middle East and the major state-sponsor of terrorism. Concomitantly, the Iranian people continue to be the most serious threat to the Islamic regime and the only real hope for a fundamental change in Iran. Mr. Trump and his national security team should make it clear to the crown prince that Saudi Arabia’s efforts to confront the Iranian regime by war through proxy in Yemen has not deterred the IRGC. Sadly, the conflict in Yemen is draining Saudi Arabia’s precious financial resources. According to some estimates, the Saudi effort to confront the Iranian regime in Yemen is costing the Kingdom around $1 billion per month. After spending billions of dollars, Saudi Arabia is not close to thwarting the designs of Ayatollah Khamenei to build a beachhead on the Arabian Peninsula by supporting his Houthi allies. Spending a small portion of this $1 billion on a robust soft power approach toward the thugs ruling Iran would be a better investment by MBS. The president should also ask that the Saudi crown prince lift the blockade of his smaller neighbor Qatar because this move has split the GCC and diverted the Security Pact’s attention from adopting a unified approach to confronting the threat posed by the Iranian regime. Qatar is home to America’s largest prepositioning based in the world and ExxonMobil is the largest investor in that country’s energy sector. The Saudi crown prince may point to Doha’s ties with Tehran as one reason for the blockade. But for Saudi Arabia to criticize Qatar for its relations with Iran is unfair because Qatar shares a major natural gas field with Iran. If Qatartakes a hostile approach toward Iran Tehran will react negatively and jeopardize the flow of natural gas to world markets. Just ask Azerbaijan, another American ally. In 2000, Iranian gunboats threatened work on a 10 billion barrel oil field in the Caspian Sea thus denying Azerbaijan the ability to monetize a major energy asset. Mr. Trump should applaud the young ruler of Saudi Arabia for his boldness in wanting to confront the Iranian regime but he should also point out that If Crown Prince Mohammed bin Salman adopts a robust, consistent and efficient soft power policy in his dealings with the Islamic regime, he will have the full support of the president and his entire national security team. The United States government should make it loud and clear to MBS that by solving the “Iran Problem” through non-military means he will usher in a new geopolitical and economic dynamic within the broader Middle East. No more funding for groups like Hamas (who are holding Palestinians hostage in the Gaza Strip) and Hezbollah (who are holding the people of Lebanon hostage to their dogma); an end to support for Houthi rebels in Yemen; liberating Bahrain (home to America’s Fifth Fleet) from the constant threat of IRGC adventurism; decoupling the butcher of Damascus (Bashar Assad) from his equally thuggish patrons; freeing Iraq of political intervention; demonstrating to the Muslim world the bankruptcy of Islamic ideology as a form of governance; and, removing an existential threat to Israel. In addition to the aforementioned, Mr. Trump should strongly encourage MBS to adopt a soft power policy toward the regime in Tehran because a free and democratic Iran, at peace with itself and its neighbors will usher in a new economic renaissance for the entire region. The $2 trillion that are currently under the control of the region’s sovereign wealth funds can be invested inside Saudi Arabia, UAE, Bahrain, Qatar and Kuwait to boost human capital and create jobs. Furthermore, these funds can also be put to productive use in rebuilding parts of Iraq, Yemen and Syria. And finally, Iran’s 80-plus million market can become a destination for investments by Saudi Arabia and its GCC allies. Mr. Trump should encourage Mohammed bin Salman to adopt a course correction as it concerns Saudi Arabia’s policy toward the theocratic regime in Iran. The leader of the free world has a historic opportunity to point out to Mohammed bin Salman that by embracing a soft-power approach toward Iran he can go down in history as the leader who ushered in a renaissance for the people of his country and the region. • S. Rob Sobhani is CEO of Caspian Group Holdings. Congressional hearings on the Saudi coalition’s actions in Yemen are yet another reminder that Saudi Arabia’s hard-charging Crown Prince Mohammad bin Salman, the country’s de facto ruler, can be both reckless and reform-oriented. Which MbS, as he is called, continues to govern this strategically important country matters not only for American national security but for the world as well, because Saudi Arabia is the world’s largest exporter of crude oil and thus provides the fuel that makes the global economy function. Although MbS clearly has reformist instincts, some of his actions show a reckless side that needs to be tempered. Take his disastrous foray into Yemen. While His Royal Highness is absolutely correct in wanting to thwart the Islamic regime of Iran from establishing a beachhead on his country’s southern border and support Yemen’s Houthi rebels, his approach has been reckless because the war has not deterred the mullahs in Iran. Instead, this proxy war has drained Saudi Arabia’s precious resources to the tune of $1 billion each month. Today, Yemen is a failed state where 8 million people are on the brink of famine and more than 1 million people are affected by cholera. Another foreign policy mistake committed by the young crown prince was his decision in 2017 to impose a blockade on Qatar, home to America’s largest prepositioning military base. Whatever legitimate reasons he may have had to punish his much smaller neighbor, this unfortunate move by MbS has left a permanent fissure within the Gulf Cooperation Council (GCC) at a time when the focus should be on the main threat to the region: the theocratic dictatorship of the Iranian regime. Mohammad bin Salman’s instinct to unleash the talents of individual Saudi citizens is admirable and his Prince Mohammed bin Salman bin Abdulaziz (MiSK) Foundation is setting the stage for the empowerment of Saudi men and woman. However, this reform initiative does not mean that other charitable organizations within Saudi Arabia have to be shut down. 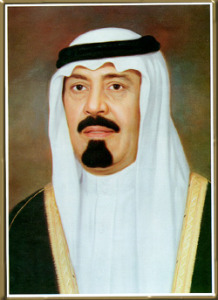 The King Abdullah Foundation was endowed by the late King, MbS’s uncle, not only as a means to preserve his legacy but because King Abdullah saw charity as a core duty of Muslims. Before curtailing the activities of that foundation and the arrest of its leadership team last year, the King Abdullah Foundation had established a partnership with the United Nations High Commission for Refugees (UNHCR) to address the plight of refugees around the world. It is unfortunate that Saudi Arabia’s de facto ruler has stopped a foundation from helping those less fortunate within his borders and even those beyond the kingdom. The Trump administration and members of Congress need to pay closer attention to the actions of Saudi Arabia’s crown prince because they have serious consequences for the stability of this long-time ally, as well as America’s national security. First, end the proxy war with Iran in Yemen and, instead, focus financial and soft-power capabilities on helping the Iranian people free themselves of the clerical regime. Second, lift the blockade of Qatar. Third, provide an immediate status report on those still held in custody after their arbitrary arrest in 2017. Some members of the royal family continue to be under house arrest, including former Crown Prince Mohammad bin Nayaf — a courageous warrior against al Qaeda who was working closely with American intelligence. Fourth, unfreeze the activities of the King Abdullah Foundation. Finally, allow access to the bank accounts of those whose assets have been confiscated. This will go a long way to providing confidence to foreign investors currently sitting on the sidelines. Mohammad bin Salman must be applauded for allowing Saudi woman to drive and for opening the cultural space in this religiously conservative country. Yet, as one of Saudi Arabia’s longtime allies, Washington must reserve the right to raise objections when actions by its leader run contrary to America’s foreign policy interest, to its traditions of free-market enterprise, and to our national ethos of philanthropy. Today Dr. Rob Sobhani launched his new book, “King Abdullah of Saudi Arabia: A Leader of Consequence,” in Washington at a new book event hosted by the Center for Strategic and International Studies. In this exclusive SUSRIS interview we talk with him about the objectives and scope of the book, and the insights he gained about the Saudi ruler. His research took him to the Kingdom six times in the last two and a half years to talk with Saudis and others from all walks of life, to gain perspective on King Abdullah’s impact on the important issues of the day in the Kingdom. We are pleased to share Dr. Sobhani’s perspectives on the rule of King Abdullah and to provide information about this book that adds an important chapter to the dialogue on U.S.-Saudi relations. SUSRIS: What led you to focus on King Abdullah for a book length project? S. Rob Sobhani: There was a vacuum of strategic thinking as it concerns U.S.-Saudi relations that needed to be addressed. I felt it was important to highlight the role that King Abdullah could play in this bilateral strategic relationship but also the connections to the broader global issues we face, such as global warming, the war on terrorism, financial instability and so forth. So, the impetus was to fill in that strategic vacuum – between Saudi Arabia and the United States, and globally. SUSRIS: What is it about King Abdullah that led you to name him a “Leader of Consequence” in your book’s title? Sobhani: I chose the title “Leader of Consequence” because out of the four top leaders in the world, the first three being those of the United States, China and Russia, the leader of Saudi Arabia is truly a leader of consequence because his actions matter very much to the world. If King Abdullah decides tomorrow to shut the Kingdom’s oil spigots because he doesn’t like U.S. policy, the price of oil would go through the roof. If the King decides he doesn’t like Dutch cartoonists caricaturing Prophet Muhammad he could have millions of Arabs in the streets chanting “Death to America” or “Death to the West.” But he is doing the exact opposite of those things. That is why he is a leader of consequence. His actions matter and they matter right now. SUSRIS: What has been the King’s focus? Sobhani: First and foremost, in my opinion, he has created a free zone of dialogue within the Kingdom. Issues that were taboo before are no longer taboo. He is standing up to terrorism, domestic and external terrorism, not only through guns – although if necessary he does and will — but also through rehabilitation. He is actually using the Koran as a weapon against extremists. One of his accomplishments that concern the United States and the U.S. public is his action at the Opec Summit a few years ago to support the U.S. Dollar. King Abdullah stood up against some of the more radical elements of Opec who wanted to move the currency basket of the organization away from the Dollar and to the Euro. These are a few of the things I believe make this King different. But I wrote the book because I believe the United States has an honest partner that it can work with to solve some of the pressing problems that we face whether it is terrorism, whether it is the Arab-Israeli conflict, whether it is global warming. King Abdullah is a partner. If the United States extends a hand to King Abdullah, he will be more than glad to shake that hand and sit across the table and start solving these problems. I believe that the U.S. needs to understand that this is a window of opportunity that will probably not come back again soon if it is allowed to close. So we need to grab this opportunity while it exists and solve some of these problems to our mutual benefit. SUSRIS: Is your book about the man or the relationship? Sobhani: The focus is on the man. The focus is on what he has accomplished, what his vision is, the effects and consequences of his actions. The man himself. Who are we talking about? Who are we dealing with? It was not a five-year endeavor to write a book about King Abdullah. It’s a profile rather than a biography. This is really a profile of a statesman, the purpose of which was to get Washington to open its eyes and to realize that we have a partner we can work with. That’s the book. SUSRIS: What has King Abdullah brought to the table in his time on the throne? Sobhani: The number one development in my opinion is the National Dialogue he instituted, giving the country a forum to discuss formerly taboo issues. Whether it was Shia-Sunni dialogue, whether it was women’s issues, whether it was extremism and terrorism. The National Dialogue has been a major contribution. Second was to put Saudi Arabia’s economic house in order – getting it into the World Trade Organization and making the economy and financial environment more attractive. If you look at the figures, Saudi Arabia is now the number one destination for foreign direct investment in the Middle East in part because King Abdullah demanded and achieved transparency from the bureaucracy. The third area was the institutionalization of Saudi political culture. Consider, for example, the changing of the education system. He made Prince Faisal, a Western educated guy, responsible to look at the entire curriculum program and to institutionalize educational reform. The institutionalization of the succession – he has put together the succession council, which oversee selection of future rulers. In the area of foreign policy, King Abdullah has shown enormous wisdom in oil pricing making sure there is a fair return for producers but also being aware that consumers could be hurt by too high oil prices. There is his philanthropy. This is a guy who watches TV. He sees something on TV and it affects him. Whether it’s in Lebanon or Gaza, or Haiti he has been extending his philanthropy to all parts of the world. His generosity has reached the United States. He has funded programs for under privileged kids here in the Washington- Baltimore area and elsewhere in America. So this is a man whose philanthropy is driven by what he sees and he acts from the heart. SUSRIS: What about challenges he faces? Robert Lacey, author of “Inside the Kingdom,” recently talked to SUSRIS about the push back from conservatives over the newly launched King Abdullah University of Science and Technology campus being coed. There’s competition, friction, between progressive and conservative elements in the Kingdom. How has he done in this regard? Sobhani: I think you touched upon it really. The challenge is to move forward yet move at a pace that doesn’t create a violent backlash from conservative elements, and the only person who can do it is King Abdullah. He is pious. He is religious. People like him because of his piety, because of his religiosity, and that’s why he can push these issues. When a radical imam gets up and says satellites are “haram,” or forbidden, Abdullah can take a stand and say, “You know what, it’s not.” Yes, a major challenge he faces is the extreme conservative, violent elements of Saudi society that, in my opinion, are no different from extremists in other parts of the Muslim world. It all boils down to power. The radical elements want people to be ignorant and that is why education becomes so important. They do not want modernity, because modernity means taking away their power. The extreme sheikhs and imams in Saudi Arabia, Iran, Pakistan and elsewhere thrive on ignorance. To the extent the population is ignorant means the ignorant population goes to the imam and sheikhs for answers. That is why King Abdullah’s reforms in education are so crucially important. Of course there are some imams who don’t act that way. There are those who believe the Koran is the blueprint for enlightenment. They point to the Golden Age of Muslim thinking, when Islam, the Muslim world was light years ahead of Europe. They point out the need for jihad, or “struggle,” for building airplanes instead of the jihad of taking airplanes into buildings. SUSRIS: Look ahead. You talked about King Abdullah as a global leader but there are problems in every corner of his region. Challenges from Iran, the Middle East peace process, what’s happening in Iraq, what’s happening in Yemen. How does he approach all these challenges? Sobhani: In Yemen I think he is making progress. I think he has gotten the President of Yemen to realize there must be good governance. Part of the reason Yemen is moving toward failed state status is the lack of good governance, so I think Abdullah has a good approach there. The Houthis, the rebels in the north of Yemen, have been told to listen, to either shape up or the Saudis are coming in – and they have gone in. The biggest challenge to the region and to Saudi Arabia remains Iran. It is the warehouse of bad ideas, the warehouse of destruction. But King Abdullah is torn, and I say this because I’ve talked to his people. He’s torn because he sees so much potential in the Iranian people. He feels Iran is a rich country with a lot of culture and history but does not like the policies of the Iranian government. Iran is his biggest challenge. The Arab-Israeli conflict is often times stoked by Iran’s involvement in funding terrorist groups like Hizballah, Hamas, and Islamic Jihad and not allowing the peace process to go forward. For King Abdullah the Palestinian situation is the most important issue. For him to be able to walk in Jerusalem one day, is a dream and that is why he wants this it resolved. SUSRIS: What should Americans know about King Abdullah as a man. His background. What brought him to be the man that he is today? Sobhani: I think it may sound like an exaggeration but consider that King Abdullah is a hybrid of – shares some characteristics of – American Presidents Washington, Jefferson and Eisenhower, in the sense that he is very well liked, he has vision, he is not reluctant to make difficult decisions, and when he makes a decision he moves forward confidently. The American public and policymakers need to know that King Abdullah is a partner that we can work with. We should take advantage of his willingness to work with us because this window of opportunity may not present itself again, since we do not know who will replace King Abdullah when he is gone. If President Obama wants to tackle global warming why don’t we marry American technology and King Abdullah’s desire to solve it. If you want to tackle radicalism in Yemen or Pakistan why not do a major rehabilitation project throughout these countries. Learn from the Saudi experience. If we want to resolve the Arab-Israeli conflict, well King Abdullah already has a plan. Israel withdraws to the 1967 borders and the Arabs will normalize relations. He’s serious. He means it. Why not bring all the parties together. Not in front of cameras. Behind close doors and resolve this. King Abdullah is serious, he is sincere and he can deliver the Arab world. SUSRIS: Have you gained any perspective on what the period after King Abdullah might look like. Sobhani: It would be a few years of, not confusion, but soul-searching. Saudi Arabia will use that period to figure out its identity. That identity will be driven by the next ruler but also by factors outside Saudi Arabia. What will Iran look like? What will Yemen look like? What will Iraq look like? Is the Arab-Israeli question resolved? The post-Abdullah period in Saudi Arabia will be a period, in my opinion, of soul-searching and trying to find an identity. SUSRIS: Last thoughts on your book on King Abdullah? Sobhani: It was a labor of respect. It was my own initiative that I hope will serve as a bridge between Saudi Arabia and the United States, a bridge of understanding between our two countries. That’s really what I’m hoping will come out of it. Dr. S. Rob Sobhani is the President and founder of Caspian Energy Consulting. Dr. Sobhani is a business consultant, with an academic background, who specializes in corporate and government relations. Dr. Sobhani founded Caspian Energy Consulting (CEC) in 1991 to specialize in negotiating projects for clients with business interests in the Middle East and former Soviet Union. As a means to achieving a company’s goal, CEC puts together a comprehensive strategy that includes country risk analysis, public relations, lobbying the host government on behalf of the project, and maintaining the image of the client as a corporate citizen in the host country. Until 2005, Dr. Sobhani was an Adjunct Professor at Georgetown University where he taught courses on U.S. foreign policy and energy security. He is a frequent contributor to op-ed pages of major U.S. newspapers and has appeared on domestic and international television and radio programs discussing U.S. foreign policy and energy markets. Dr. Sobhani is also a guest lecturer at major conferences dealing with international energy security. In addition to his professional and academic background, Dr. Sobhani sits on the Board of or is otherwise affiliated with a number of organizations. He sits on the Board of Mohawk Innovative Technologies in Albany, New York. He is Deputy Chairman of Washington Capital Partners. Dr. Sobhani also serves on the Board of Directors of c5I Corporation and General Magnetic Sciences. Dr. Sobhani is also a member of the bi-partisan Committee on the Present Danger. Caspian Publishing, Inc. 2009. 188 pages. S. Rob Sobhani's King Abdullah of Saudi Arabia: A Leader of Consequence, is a remarkably insightful and detailed tribute to an important and influential twenty-first-century head of state. In preparing this book, Sobhani traveled to the kingdom five times, meeting with King Abdullah, his close advisers, government officials, scholars, journalists and other Saudi citizens. The result is a volume that should be of value to those seeking to learn more about Saudi Arabia and itsvisionary king, as well as those who already know the subject well, a volume that is enhanced by beautiful photographs, verses from the Quran,and quotations of King Abdullah. King Abdullah's contribution to regional and global peace, prosperity and reform is brilliantly captured in this book, along with a feel for the compassion and generosity of the man himself. A true "king for his people," Abdullah's efforts to provide a safe, stable and productive environment for his citizens mark him as a visionary and a man of principle and energy. History will record his efforts to bring peace to the region, along with his strong desire to help create a better world through his Interfaith Dialogue Initiative, a program that should have far-reaching benefits, through his support for moderate and stable oil prices, and through his generous provision of foreign humanitarian and development assistance. This book does an excellent job in highlighting and detailing these efforts. Sobhani's book also concentrates on King Abdullah's role as a "reformist." The king's emphasis on education for both sexes at home and abroad, the importance of the role of women in society, the need to address extremism and its root causes, and the requirement that those who rule be fair and honest, sets him apart from many other global leaders. It is all the more impressive that these efforts and initiatives are pursued while King Abdullah effectively balances his religious obligations as "Custodian of the Two Holy Mosques" with his day-to-day responsibilities for managing a vibrant and rapidly developing country of some 26 million people. This includes his efforts to manage the kingdom's oil resources wisely and to diversify the kingdom's economy for today's citizens and future generations. It was my privilege to work with King Abdullah when I served as U.S. ambassador to Saudi Arabia from 2007 to 2009. During this time, I came to respect his direct, honest, no-nonsense approach to solving problems. He had a way of humanizing the most complex and complicated issues, and an ability to quickly cut to the heart of the matter at hand. His strength of character and his core beliefs were clear to see. They guided him in all his interactions and allowed him to provide the type of strong leadership that one finds in all great leaders. These personal important aspects of the man are well captured in Mr. Sobhani's book, and for this reason it was a particular pleasure for me to read. Four leaders of consequence play an enormous role in today’s international arena. The presidents of the United States, Russia and China wield tremendous military, political and economic power. The fourth leader is King Abdullah of Saudi Arabia, who has the potential to bring peace and prosperity to the Middle East due to Saudi Arabia’s strategic heft as an energy giant, its heavyweight political status in the Arab world and its critical role in shaping the future of the Muslim world. The king, who enters his third year on the throne, embodies a unique mix of reformist instincts, religious credentials, political credibility and vision for change. In the interest of stability, the United States and Europe must strike a grand strategic bargain with King Abdullah to bring lasting peace to this deeply troubled yet energy-rich region. Although the United States has expressed concerns about Saudi behavior in a number of areas, King Abdullah is perhaps the only leader in the Muslim world with the credibility to offer an enduring pan-Arab peace deal to Israel that simultaneously empowers the Palestinian people and blasts extremist “deviants” as heretical. For example, the recent announcement by Saudi Arabia that it may join the planned Israeli-Palestinian peace conference in Annapolis was a major boost to President Bush and welcomed by Israel. The elevation of King Abdullah’s role as a strategic U.S. partner is based on his track record. While some may express frustration with the pace of the king’s reform agenda, there is little doubt that it is anchored in a vision never before seen from the Saudi royal family. Shortly after taking office, King Abdullah delivered a speech in Mecca about his vision for the future of the Muslim world: “Fanaticism and extremism cannot grow on an earth whose soil is embedded in the spirit of tolerance, moderation, and balance. Good governance can eliminate injustice, destitution and poverty.” The speech was vintage King Abdullah: honest, ground-breaking and reform-minded. In one of his first acts as king, he broke with tradition, pardoning three liberal dissidents jailed for their views. He reportedly met with leading reformers, telling them, “Your project is my project.” The king relies on his personal piety to help him balance the traditionalist impulses of the religious establishment who are adamantly opposed to “Western liberalism” with those changes he sees as necessary for substantive reform. While opponents — religious zealots with little or no education — use Islam as a tool to attack both the kingdom and the West, King Abdullah believes that, “We are progressives by virtue of our Islam.” In short, as the custodian of Islam’s two most holy sites, King Abdullah has the religious authority to challenge the extremists within the Muslim world. The king has embraced the spirit of infitah, or openness, that is sweeping Saudi society. He has created the Kingdom’s most important forum for dialogue, the King Abdulaziz National Dialogue, and has tolerated — and subtly encouraged — unprecedented levels of freedom of the press in the kingdom. King Abdullah believes that the people of Saudi Arabia know their own problems best and should be encouraged to engage in vigorous dialogue to find solutions. While not exactly Western-style democracy, there is wisdom in encouraging openness and dialogue through King Abdullah’s economic reforms. They might prove to be as important as his political and social reforms. The king has presided over an impressive list of economic achievements, ranging from Saudi Arabia’s entry into the World Trade Organization to the institution of economic initiatives designed to transform petrodollars into a sustainable economic infrastructure. These initiatives are meant to make Saudi Arabia into an industrial power and a key services center. Equally important, the king has talked openly about fighting corruption and the need for substantive financial-sector reform encouraging transparency. While taking steps toward securing Saudi Arabia’s economic future and promoting domestic reform, the king takes Saudi Arabia’s role as the world’s largest oil producer very seriously. He is fully aware of the enormous responsibility his country bears in maintaining stability in the global economy. Accordingly, every time the virulent anti-American rhetoric of Venezuela’s Hugo Chavez or Iran’s Mahmoud Ahmadinejad sends oil prices skyrocketing, King Abdullah calms the oil markets by asking his oil minister to tell the world that the Organization of the Petroleum Exporting Countries’ supplies are stable. King Abdullah has filled a leadership vacuum in the Arab and Muslim world with policies and initiatives aimed at regional stability and prosperity. The Muslim world faces a critical decision affecting its future: will it shift toward greater sectarian conflict, continued underdevelopment and more radical extremism, or will it embrace the principles of moderation, prosperity and peace. In the current combustible dynamic of the Middle East, a grand bargain with King Abdullah will help ensure the latter. Miteb bin Abdullah follows in his father's footsteps.